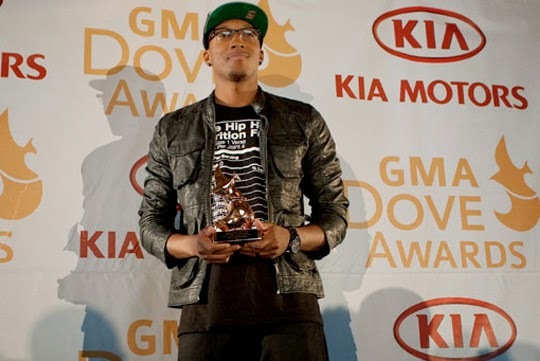 Leading up to he 45th Annual Dove Awards, The Gospel Music Association (GMA) has announced that Contemporary Christian Pop Artist Bart Millard of MercyMe and Christian Hip Hop/Rap artist Lecrae will be co-hosting the show. The Dove Awards will take place on Tuesday, Oct. 7 at Allen Arena on the campus of Lipscomb University in Nashville, TN and will air on the Trinity Broadcasting Network (TBN). Confirmed performers include Hezekiah Walker, Erica Campbell, Natalie Grant, Hezekiah Walker, Matthew West and Erica Campbell. Dove nominees, Jonathan McReynolds and Meredith Andrews will host the GMA Dove Awards Pre-show which will be streaming live on www.hearitfirst.com/live on Oct 7 at 2:00pm CT.